Hafal campaigns to improve mental health services for children and young people. A 2014 National Assembly Inquiry into Child and Adolescent Mental Health Services (CAMHS) in Wales recognised that the majority of young people’s experience of CAMHS is negative, and further concluded that CAMHS ‘does not have capacity to meet the demands currently placed on it’. Using the voices of Hafal’s service users is key to our policy work. We have a group of young people who share their personal experiences at events, in the media and at governmental level. If you would like to be involved in this group, please email hafal@hafal.org. In January 2016, The High Needs Collaborative (Hafal, Mental Health Foundation, Bipolar UK and Diverse Cymru) published a report in partnership with Wales Observatory on Human Rights of Children and Young People suggesting ways to improve Child and Adolescent Mental Health Services (CAMHS) in Wales. The report, titled ‘Making Sense’, examines findings from a consultation the partnership held in autumn 2015. The consultation involved over 500 people, including CAMHS users, carers of CAMHS users and young people under 25. 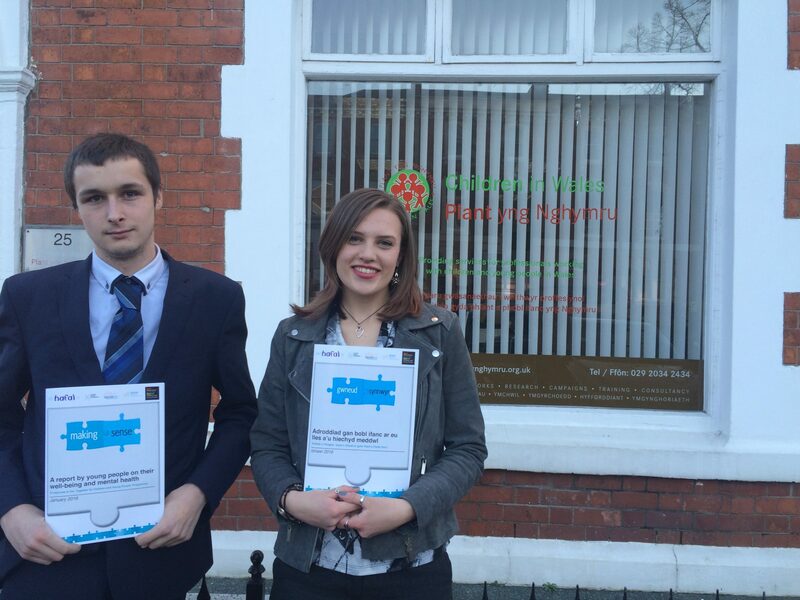 Hafal representatives Mair Elliott and Jake Roberts pictured here with their report after presenting to Welsh Government’s review of CAMHS. Mair Elliott and Jake Roberts were involved in writing the report; both are Hafal representatives with experience of CAMHS. The report makes ten recommendations to improve mental health services for children and young people in Wales, based on the findings of the consultation. Hafal young people with representatives from Wales Observatory on Human Rights of Children and Young People. 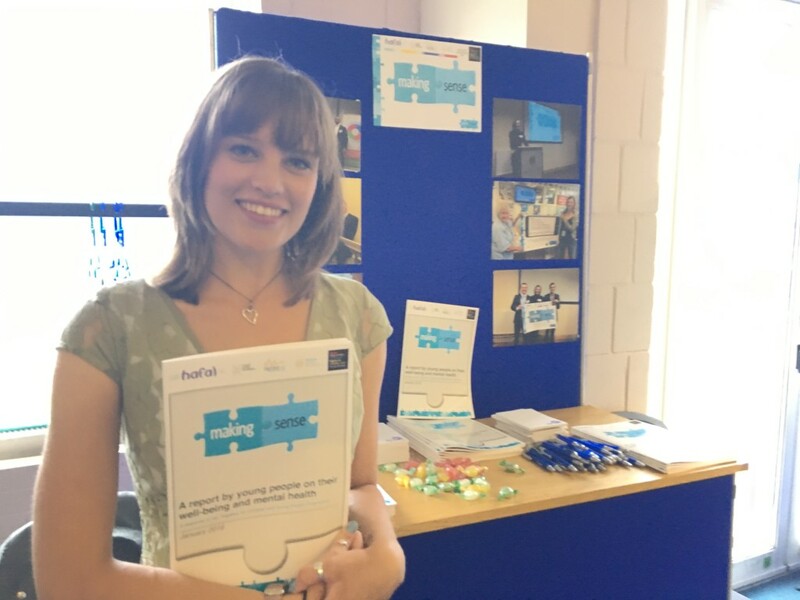 The partnership held two ‘knowledge sharing events’ at Swansea and Bangor universities prior to publishing the ‘Making Sense’ report. When CAMHS users were asked who they would prefer to turn to for help, 56 percent said friends, 44 percent said education-counselling services and 39 percent said teachers. Three-quarters said they had a negative experience of CAMHS. The report recommends that teachers, school, college and university counselling services, and other youth services must play a major role in supporting the well-being and development of all children and young people, including those who have mental health problems. It suggests that specialist CAMHS should only be involved with young people with the highest needs. Mair and Jake discussed the report’s recommendations with the Children’s Commissioner for Wales in November 2015, and presented the final report to Welsh Government’s review of CAMHS, the ‘Together for Children and Young People Programme’, in January 2016. Click here to read the full ‘Making Sense’ report. Click here to see the raw data from our consultation. 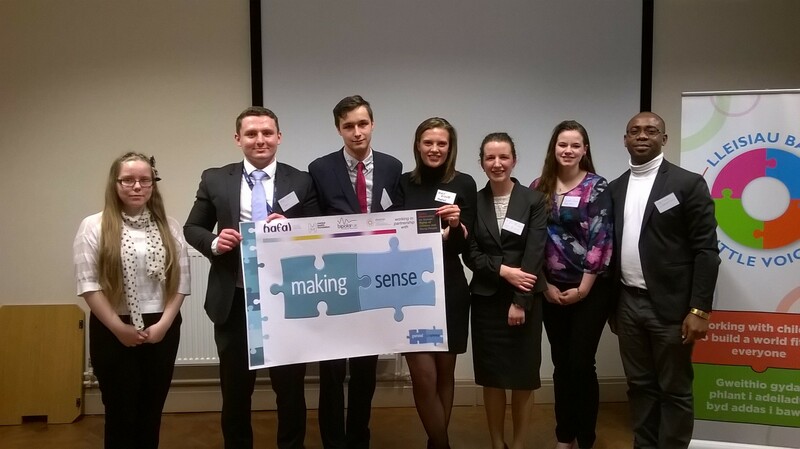 After the publication of the ‘Making Sense’ report in January 2016, Mair and Jake were invited to sustain further dialogue with the T4CYP Programme Board during the course of the review. 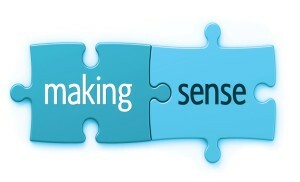 T4CYP provided a written response (view here) to the ‘Making Sense’ report in May 2016, to which the Making Sense collaborative replied to in June 2016, offering an outline of the key areas to move forward (view here). Mair after presenting the ‘Making Sense’ report at the T4CYP conference. These included: improving the use of Care and Treatment Plans (and the benefits of doing so), implementing referral criteria, and providing practical support for carers. Mair, and Hafal’s Young People’s Communications Officer, Mike Wood, presented the report at the T4CYP Conference in summer 2016. The incumbent Cabinet Secretary for Health, Well-being & Sport, Vaughan Gething, referred to the report during his address at the conference, highlighting its role in the development of policy on young people’s mental health services in Wales. If you would like more information about our work with young people please contact Matt Pearce.